Minnesota was known as a territory in 1849, and in 1858, formally became the thirty second state admitted to the union. The City of Young America was founded in the year 1856. Norwood was founded in 1881. (The 2 cities became a single city in 1997.) In 1861, the first Stiftungsfest (Founders Day Celebration) was held. The Stiftungsfest highlights the German Heritage of the city. It is Minnesota’s oldest celebration and is held each year on the last full weekend in August. It was introduced to the community by the Men’s Chorus, an organization that played a very important part in the development ofNorwood Young America. The title to the property on which the funeral home is now located was transferred from Johann Feltmann and Elizabeth Feltmann to School District No. 61. in 1874, for the purpose of erecting a Public School. In 1884, as the village of Norwood grew, a new school was built. This was a two-story brick structure with one large classroom on each floor. This building, which was called North School, is the Paul-McBride Funeral Chapel. In 1909, School District No. 61 and School District No. 38 were consolidated to form School District No. 78 and a new school was built. The old school building was sold to Fred Kloth to be used as a private residence and it was home for the Kloth family until 1946, when the estate of Fred Kloth sold the home to Vernon Larson, who retained ownership until 1948, at which time Raymond Block purchased the property and building to be used as a funeral home. Mr. and Mrs. Block lived in the apartment above the funeral home and operated the funeral home until 1953, when they sold it to Mr. and Mrs. Milton Quast. Mr. and Mrs. Quast also resided in the apartment above the funeral home and during their ownership remodeled the funeral home and residence. On Sept. 1, 1970, Mr. and Mrs. Milton Quast sold the funeral home to Kenneth and Ellen Paul. The Paul family also resided in the apartment above the funeral home. Kenneth Paul graduated from the University of Minnesota in 1962, with a degree in Mortuary Science. He worked for various funeral homes in Minnesota before he purchased the funeral home from Mr. and Mrs. Milton Quast on September 1, 1970. The Paul family resided in the apartment above the funeral home. In 1973, the addition was built, creating a larger foyer and chapel. In that same year, Kenneth purchased the funeral home in Lester Prairie, Minnesota. Bruce McBride, a native of Windom, Minnesota graduated with the University of Minnesota Mortuary Science Class of 1974. He worked for the Hamlin-Hansen Funeral home in Moose Lake, Minnesota until 1977, when he and his wife, Suzanne purchased the Johnson Funeral Chapel in Glencoe, Minnesota. 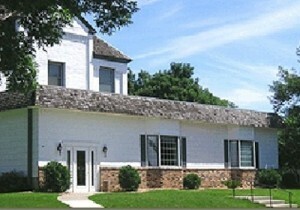 In 1993, they purchased the Paul Funeral Homes in Norwood Young America and Lester Prairie. On December 31, 2009, Robert and Richard Hantge of Hutchinson, Minnesota purchased the McBride Funeral Chapels in Glencoe, Norwood Young America and Lester Prairie. Their father, Everett Hantge, a graduate of the University of Minnesota Mortuary Science Class of 1962, had moved to Hutchinson in 1973, and opened his own funeral home. In 1978, he purchased the Dobratz Funeral Home from Donald Dobratz (nowthe Dobratz-Hantge Chapel in Hutchinson.) Following in his father’s footsteps, oldest son Robert joined him at the family firm in 1989, and younger son Richard joined them in 1991. Robert and Richard have continued their father’s commitment to provide professional quality funeral service to the communities they serve, and have been recognized by the National Funeral Directors Association for their Pursuit of Excellence.